ESA / NASA / JPL / Univ. of Ariz. 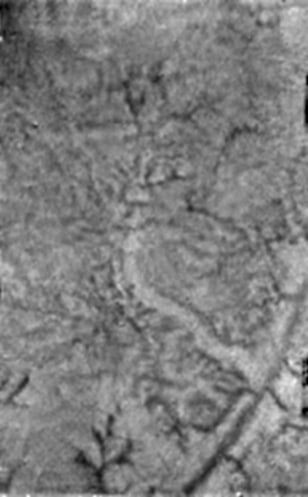 This Huygens image shows two new features on the surface of Titan: A bright linear feature suggesting an area where water ice may have been extruded onto the surface; and short, stubby dark channels that may have been formed by "springs" of liquid methane rather than methane rain.